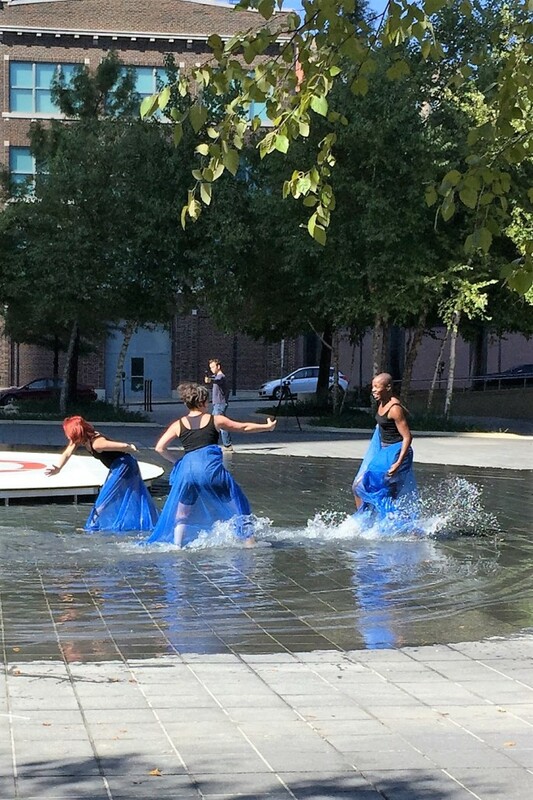 Life and art imitate each other; this is the feedback loop that Downtown Replay explores through movement and sound. 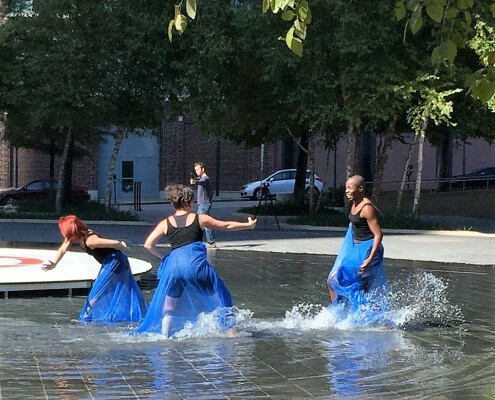 Downtown Replay is a series of public improvisational performances which are later combined and reworked into traditional stage performances. 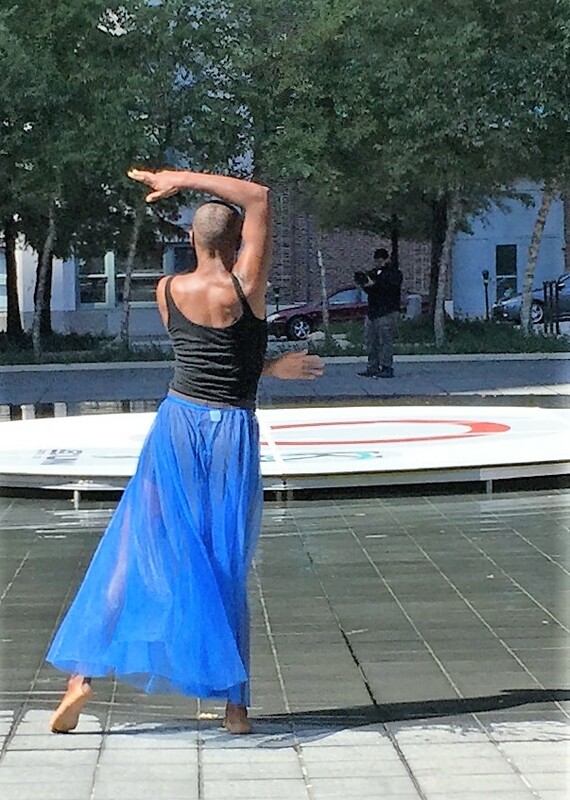 For the improvisational performance at Ilus Davis Park, choreographer Lauren Thompson and sound designer Jonathan Robertson will create the sound and movement experience Downtown Replay, a site-specific and interactive work of performance art. Videographer Tom Hipp will record the performance from various angles. The video recording will be used to create an interactive projection for a later, stage performance. 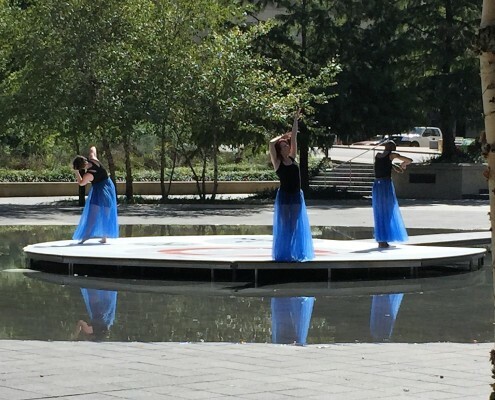 Prior to the performance, the choreographer will create movement inspired by the architecture of the park and the sound designer will record sounds that occur at the location. The predetermined movement and sound initiate and function as the core of the piece. 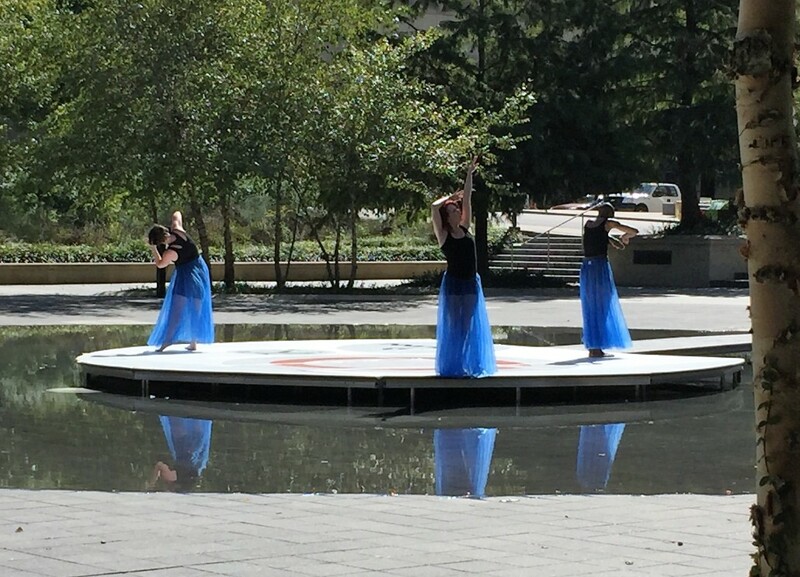 During the performance, the sounds of people are captured through microphones strategically placed around the location and the movements of people are integrated by the dancers. The public can manipulate the sound and movement of the space they are in, while at the same time the choreographer and sound designer have predetermined part of their experience. 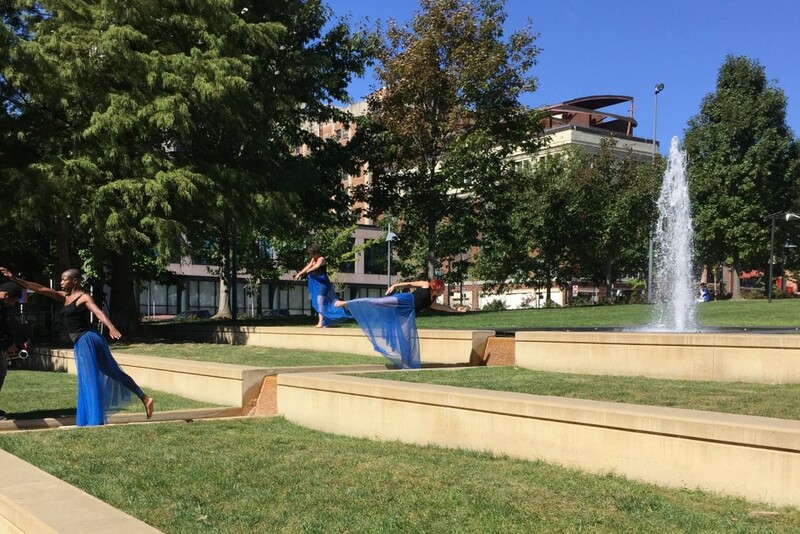 Downtown Replay will be performed on Friday, September 30, from 11:30 a.m. to 1:30 p.m. in Ilus Davis Park at 11th & Oak. The rain location is the JE Dunn parking garage at 10th & Locust. 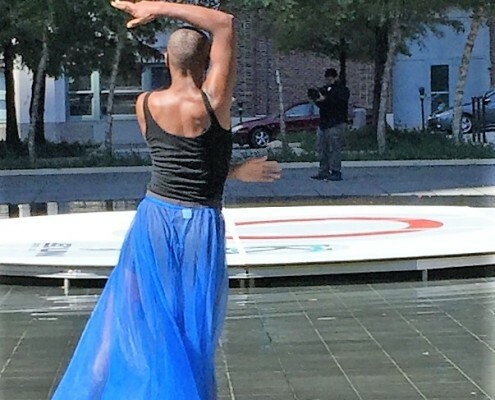 Lauren Thompson is a dancer and choreographer in the Kansas City community. She is a graduate from the University of Kansas City-Missouri with a BFA in modern dance, in addition to a collection of other degrees. 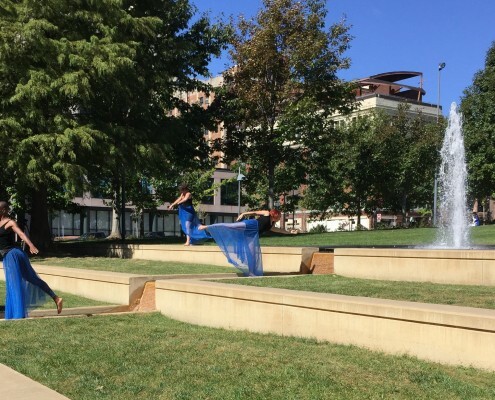 Lauren’s work has been performed at the Nelson-Atkins Museum of Art, Kansas City Fringe Festival, Unicorn Theater, and with Art in the Loop. Jonathan Robertson is an adjunct instructor of music technology at Missouri Western State University and a composer and sound designer working in Kansas City. Recent credits include composer for the theatre play Medea (directed by Joshua K. Brody) at UMKC, assistant sound designer for Kansas City Swing (dir. Ricardo Khan) at the Repertory Theatre of St. Louis, and composer/sound designer for Immeasurable Heaven (dir. Stephanie Roberts) on Spencer Stage at UMKC, and music director for Mr. Burns, a post-electric play at the Unicorn theatre. He co-wrote and directed the plays Companions and The Audio Cart (Kansas City Fringe Festival 2014 and 2015). Look for his new work, Mannequins at the 2016 KC Fringe. Tom Hipp produces and directs film content in the Kansas City area and beyond. He graduated from the University of Kansas School of Journalism and got his start in TV commercials. Since then he has collaborated with a diverse group of people and clients to create television, commercials, web pieces, music videos, documentaries and more. Tom loves Kansas City and is excited to further develop both the film production and art communities in the area.